Check out these environment- and wallet-friendly rides! 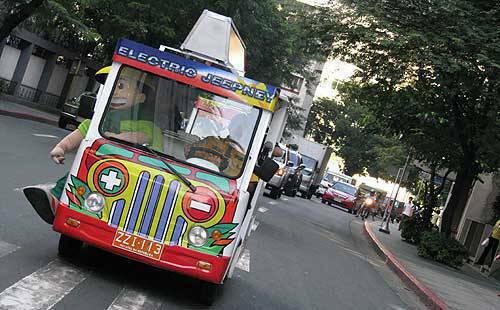 Makati City's electric jeepney population got a boost as the Institute for Climate and Sustainable Cities (iCSC) deployed ten new units of the environment-friendly rides. With the unveiling of the new e-jeepneys, the local government of Makati also introduced a green route where commuters can board the smoke-free electric vehicles for free. E-jeepneys operate from 7 a.m. to 10 a.m., 11 a.m. to 1 p.m. and 4 p.m. to 6 p.m. Each has a loading and unloading time of only ten seconds per stop. "We are making the climate solutions of tomorrow available to Filipinos today," iCSC director Red Constantino said. 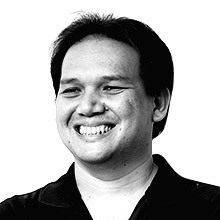 "Bold action is needed during this period when we are beset by the financial and climate crisis. We commend the leadership of Makati City for showing to the country and the world what Filipinos are capable of." The e-jeepneys launched on November 10 were developed by the Motor Vehicle Parts Manufacturers Association of the Philippines and are 100-percent Philippine-made. They are based on two electric vehicles from China. The e-jeepneys are currently driven by personnel from the Makati Public Safety Department. The iCSC will field dedicated e-jeepney drivers to the environment-friendly fleet by January 2010.